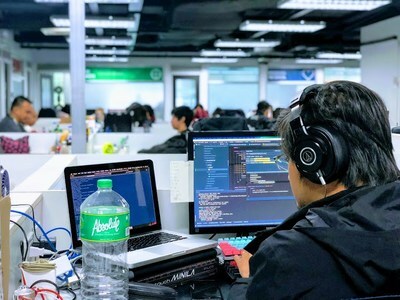 CHARLOTTE, N.C., Jan. 30, 2019 /PRNewswire/ -- Accelerance, a US-based consulting firm which helps technology leaders create and execute effective strategies for global software outsourcing, announced partnership with Exist, a Filipino software development company. Exist is now an Accelerance Certified Partner and joins the elite 1% of software development companies known as the Accelerance Global Network. As a Certified Partner in the Accelerance Global Network each company is investigated across over 500 business and technology criteria. These data points ensure each Certified Partner is prepared to succeed within Western markets as an outsourcing software development team. In October 2018, Accelerance traveled to Exist headquarters in Manila, Philippines to validate all findings with regard to outsourcing readiness, HR Practices, team members, facilities, training practices and security validation. The on-site assessment finalized the certification process and allowed the Accelerance team to tour Exist facilities and meet the team. Accelerance published all of their investigative findings in the Exist Partner Showcase - a groundbreaking resource for companies looking to outsource software development. The showcase provides in-depth company reviews and interviews with key company leaders on topics such as: capabilities, processes, and company reviews. Partnerships with trusted software development teams, like Exist, are key to successful software outsourcing. Exist excels across the following the technologies and industries; Java, Cloud Native Infrastructure, Blockchain, UI,UX Technology Consulting, Open Source Technologies, Java Development, Enterprise Solutions, Application Development, Big Data and Analytics, Healthcare IT Solutions, QA & Testing, and Retail IT Solutions. "At the conclusion of the Accelerance team visit, our belief that a partnership between Exist and Accelerance as a critical move was confirmed. Exist is excited to collaborate with Accelerance and develop new business opportunities in the U.K. and Western market," said Michael Lim, President and CEO of Exist. Founded in 2001, Exist is a global technology innovator providing enterprise solutions through consulting and innovative products and services. With a comprehensive portfolio of integrated Information Technology solutions and services, Exist empowers enterprises to transform and build sustainable change. Backed by more than a decade of innovation, Exist leverages its mastery of Open Source technologies, domain expertise, knowledge in business processes and agile methodology to build better technology software. Exist's technology solutions and services spans clients in Asia, Australia and the U.S. in a diverse range of verticals including Retail, Banking and Finance, Healthcare, and other industries. Accelerance provides professional guidance for planning, sourcing and managing global software teams. Our approach to software outsourcing significantly reduces risk for clients looking to outsource software development. By working with Accelerance, clients tap into domestic software leadership and the largest network of vetted and verified software development companies in the world.